Hunting without fear is what we truly desire. Now honestly, there is very little to be fearful of on any given day when entering the woods—unless you are hunting in a grizzly bear country! Even then, with the right precautions and understanding, there is fantastic hunting among the powerful bears of this continent. If you take away the bears and avoid the rattlesnakes, the biggest little problem in the woods today are ticks. When temperatures rise, and we throw caution to the wind-chasing spring gobblers, ticks can be a real problem. The five most common ticks in the contiguous United States are the Deer Tick, Dog Tick, Lone Star Tick, Wood Tick and the Brown Dog Tick. 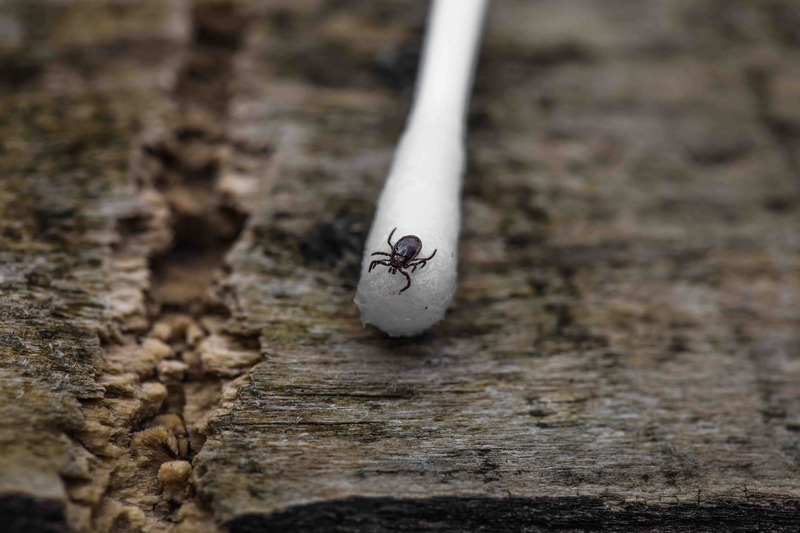 As you traverse the spring terrain, be aware of the five most common ticks in the contiguous United States: Deer Tick, Dog Tick, Lone Star Tick, Wood Tick, and the Brown Dog Tick. Ticks have become far more prevalent in the past two decades in those areas of the country where they never existed before. What began as a relatively isolated problem in the northeast with the red-bodied black-legged deer tick, has spread throughout the country. The frustration and fear of ticks are the debilitating diseases they bring and the sneaky nature of ticks and their ability to find ways onto our bodies. According to a recent article published by sciencemag.org, over the past 20 years, the incidence of the most prevalent and widely known diseases, Lyme disease, has tripled to over 300,000 cases reported annually across the country. This disease, which is associated with a red rash, joint pain, and crippling nerve damage, is just one of many tick-borne diseases. The Lone Star Tick, prevalent in the south, can cause a red meat allergy through the transmission of a carbohydrate called “Alpha-gal.” For a sportsman, this would render hunting to become an almost useless activity. We naturally give off heat and carbon dioxide, which are the two elements ticks track. Although this is anecdotal evidence from my experience, people I hunt with who sweat more tend to attract more bugs than others. Ticks need blood to survive and they seek out the warmest areas of our bodies when attached. This is why you ought to check the parts of the body, which expel heat, like your head and armpits. Prevention Starts with What You Wear! Prevention starts with your clothing. Although many sources advise wearing light-colored clothing for hiking, this just isn’t the case when hunting. One of the first steps is to pick a light moisture-wicking base layer for both your top and bottom. A retired marine once told me that they would wear pantyhose stockings under their gear to act as a base layer defense. This base layer, along with your pants, ought to be tucked into your socks and then into your boots. If you wear low-cut hiking boots and brush gaiters like I do, always carry a roll of electrical tape to seal off your leg and arm cuffs to defend the vulnerable entrances to your body. For your top base layer, tuck this not only into your pants but also into your bottom base layer as well. This will seal off any chance for a tick to crawl up your pants and into your shirt. DEET products do not kill ticks; rather they disrupt a tick’s ability to sense carbon dioxide. DEET is a known repellant for the sportsmen. It is essential to understand that DEET products do not kill ticks; rather they disrupt their ability to sense carbon dioxide. DEET products ought to be handled with care, so as not to get in one’s eyes or mouth. DEET.com recommends products with at least 20% concentrated DEET to have an impact. Permethrin is a clothing wash option that actually kills ticks. It is popular with the military and land surveyors because once it dries in the fibers of the clothing, it can last for several weeks and kills ticks on contact. Permethrin causes no damage to the cloth or synthetic fibers found in modern hunting apparel, but it kills ticks almost instantly. As you build your spring turkey gear bag, packing deer and permethrin is as essential as packing the decoys and your calls. Finding an embedded tick is reasonably frustrating. If left unattended, it can lead to long-term damage to your body. One of the toughest parts of finding a tick embedded is determining how long the tick may have been attached. We are all familiar with the classic bull’s-eye, but how long do you have to remove the tick, and how do you remove it? According to lymedisease.org, “The CDC says that in most cases, the tick must be attached more than 24 hours.” This shouldn’t be taken as gospel, as some research has seen diseases transferred in less than six hours. So, while you have some time after you find a tick, the clock is still running. To remove a tick, grab around its head with tweezers and pull straight up. Avoid twisting the tick as this can break off its head—an embedded tick head can lead to infection issues. Most importantly, do not grab the tick around its swollen belly. You could push infected fluid from the tick into your body if you squeeze it. Grab a tick around its head with tweezers and pull straight up. Avoid twisting the tick as this can break off their heads and an embedded tick head will lead to infection issues. Avoid smothering a tick in fluids like some suggest. Some evidence suggests smothering or burning a tick could make it release fluid faster into your body and increase your chance of infection. There are various products available in the market that aid in the removal of ticks. They are essentially different forms of tweezers to help you get closer to the head of the tick and avoid pulling on the body. If you fail to remove the tick yourself or are not able to wash the small wound with antibiotics properly, you should see a doctor immediately for medical removal. Most tick encounters can be avoided through proper prevention methods and awareness. Constantly checking your body and your clothing as you hunt and your body immediately after the hunt will help you avoid the frustration of having a tick bite. Tick problems continue to persist in this country at near epidemic levels. Don’t fool yourself into thinking they are not where you enjoy hunting and hiking. 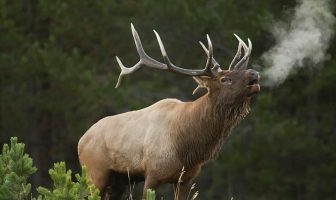 Stay vigilant this spring as you chase thunder across the country and ensure that you maintain your ability to hunt hard for years to come. Dear Sirs, Thanks for your article. While you have some tips I find most of the article boilerplate, bits of information gathered from sources that appear to rarely spend extended time in the field. You mentioned tick varieties but did not identify by photo. You failed to mention other diseases carried by ticks. Next article you may want to talk to some woodcutters, lumberjacks, tree farmers, utility line workers, etc… You may find some interesting and credible information that you won’t get from the Mayo clinic or deet manufacturers. Thanks for the feedback, Dan. We try to source content from active and experienced hunters but whose primary jobs are not “in the field.” Most of the articles are meant to assist the novice or intermediate hunter. As we grow our audience and build out our presence in the community, we’ll try to address advanced topics.